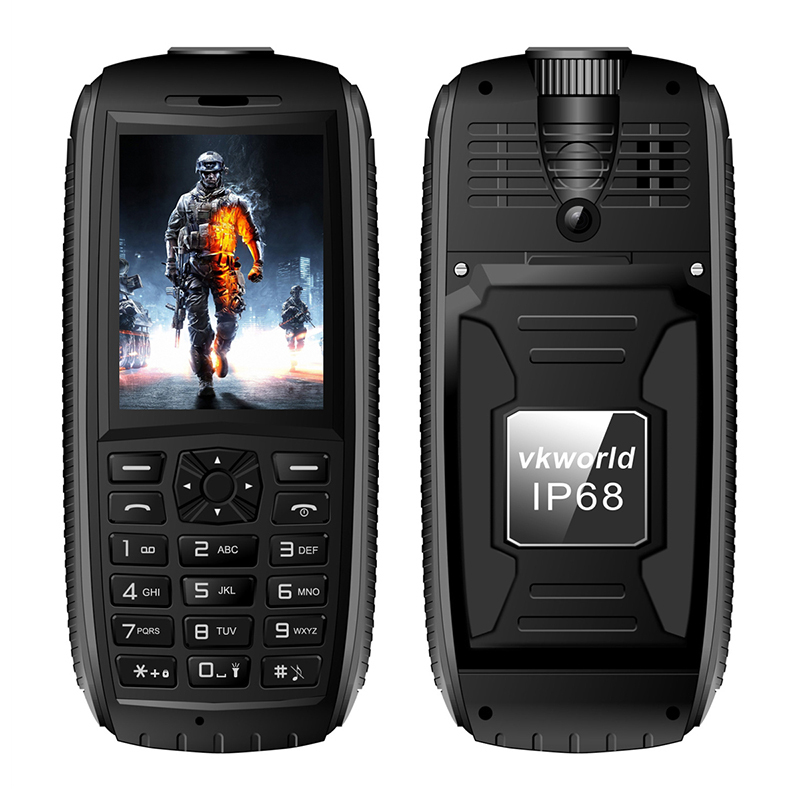 Successfully Added VK World Stone V3 Max Rugged Phone - IP68, 5300mAh, Dual-IMEI, 1.3MP Cam, 2.4-Inch Display, Flashlight, Waterproof to your Shopping Cart. Meet the VK World Stone V3 Max, a rugged phone that with its simple and durable design is perfect for the elderly, outdoor enthusiasts, and people working in tough environments. Built to withstand the toughest of environments, this IP68 phone is fully protected against water, dust, drops, and even low temperatures – allowing you to efficiently use it no matter where in the world you’re located. Its 2.4-Inch display portraits all your phone’s features and a good and extra-bright resolution, allowing you to enjoy all it has to offer even while located outside in direct sunlight. For everybody out there that is looking for an affordable, simple, and merely indestructible cell phone that keeps you connected wherever you are, the VK World Stone V3 Max is the ultimate choice. Packing a massive 5300mAh battery, this rugged phone provides you with up to 72 hours of continuous usage time on one charge, allowing you to head out with confidence without needing to worry about battery life. Added to that, the VK World Stone V3 Max rugged phone features a stunning standby time of 15 days, making this the perfect cell phone for the elderly that do not use their device on a regular base and do not constantly want to worry about charging their phone. With this powerful phone at your side, you can be assured that you’ll always be within reach to your friends, family, and loved ones at any time of the day. Featuring dual IMEI numbers, this Dual-SIM phone allows you to be reachable on two phone numbers while using just one device. This makes the VK World Stone V3 Max a rugged phone that can be efficiently used to separate your work and private life without you needing to carry along two cell phones all the time. Additionally, it also allows you to insert a foreign SIM card while traveling abroad – allowing you to stay connected at local charges while, at the same time, being reachable to friends and family back home on your old and trusted domestic phone number. At the rear of this rugged phone, you will be able to find a sophisticated 1.3MP camera that allows you to snap beautiful images during upcoming family gatherings and outdoor adventures. Additionally, a bright intergraded flashlight provides the perfect mean to stay safe when moving around outside after dark. With 8GB of external memory support, you can be assured that the VK World Stone V3 Max packs enough storage for you to save all your contacts, files, and the pictures you previously snapped without needing to worry about running out of space. The VK World Stone V3 Max comes with a 12 months warranty, brought to you by the leader in electronic devices as well as wholesale electronic gadgets..